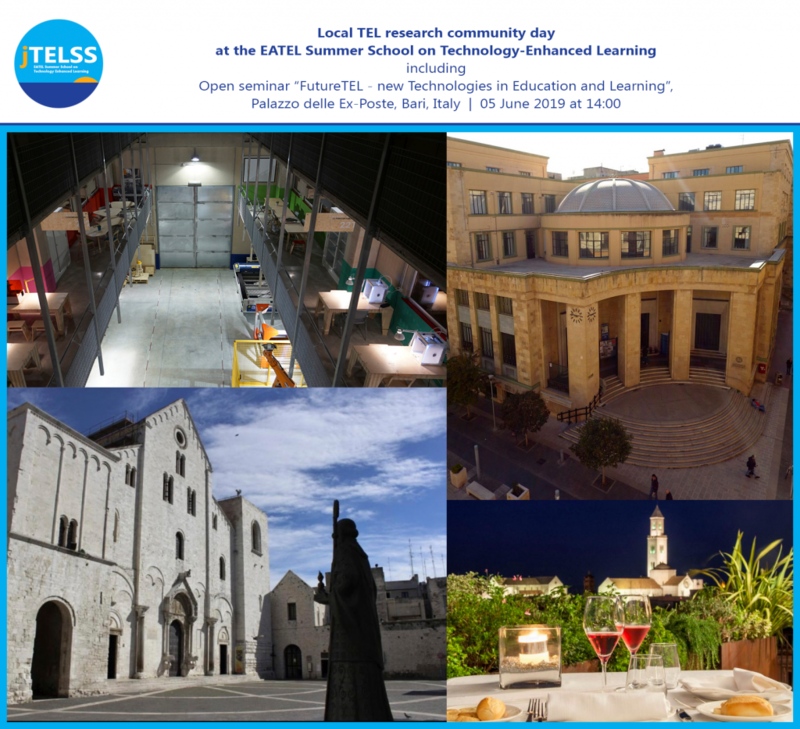 We have a pleasure to announce that in the middle of the summer school this year will be the local TEL research community day! On Wednesday 5 June, we first will visit the Fablab Poliba, maker space of the Polytechnic University of Bari for a guided tour of the building. Then at 14:00, we will gather at the central Palazzo delle Ex-Poste where the open seminar “FutureTEL – new Technologies in Education and Learning” will take place. It will feature a high-level keynote and TEL researchers from local universities presenting their projects. Following the seminar, a sightseeing tour of the old town of Bari, and Gala dinner in one its most exclusive restaurants. More details are coming soon!